If you ask 12-year-old clubCREATE Mariah who is her idol, she will have no hesitation in telling you that it is Simone Biles, an American artistic gymnast and 2016 Rio Olympic individual all-around, vault and floor gold medalist. Mariah admires the fact that although Simone was in and out of foster care, (eventually adopted at age 6 by her grandfather and his wife) with the guidance of a great coach, she has gone on to be the best gymnast in the world. Mariah herself started gymnastics doing a tots class at just 2 years of age. At age 3 she was put into an advanced program for preschool children and at age 4 was suggested she move clubs so that she could train with more highly experienced coaches. 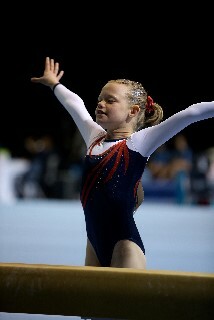 Currently training at national level 7 Mariah trains for 19 hours a week. Last year Mariah competed at a state level representing her club. 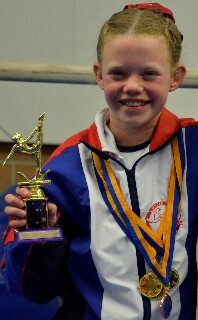 Mariah placed on several apparatus including gold on floor and a close 2nd overall. 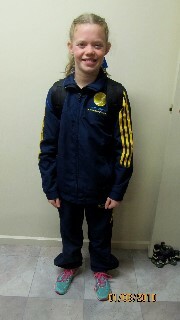 This year Mariah was selected as one of just 6 girls from the ACT to compete in Caloundra QLD. This was Mariah’s first competition at a national level and on the first day of competition the nerves were showing and her results reflected this. However, on the second day of competition, competing against some of the best gymnasts from around Australia, Mariah performed a brilliant beam routine and came away with the individual Gold medal for beam. We congratulate Mariah for all of her hard work and determination, and wish her all the best for her very bright future.